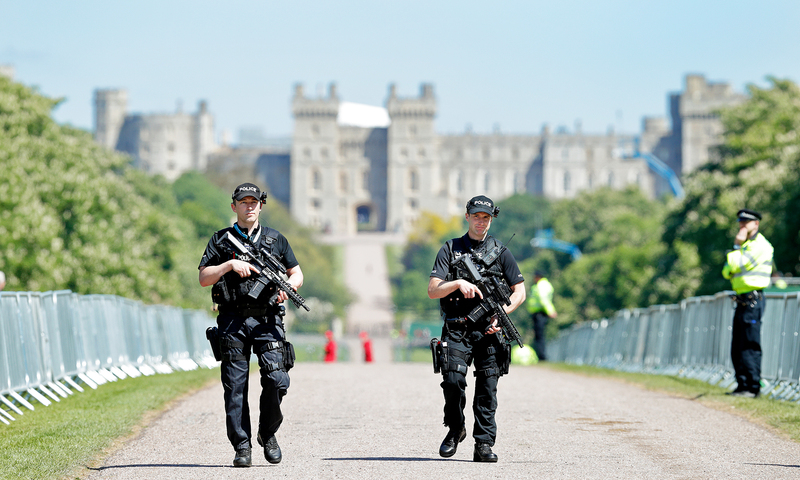 Police are on high alert in the Windsor town of Berkshire, England, ahead of Prince Harry and Meghan Markle’s wedding on Saturday, May 19, Us Weekly confirms. Authorities will do whatever is necessary to protect the British royal, 33, the Suits alum, 36, their 600 guests and the hundreds of thousands of fans who are expected to visit the area to catch a glimpse of the ceremony at St George’s Chapel at Windsor Castle. 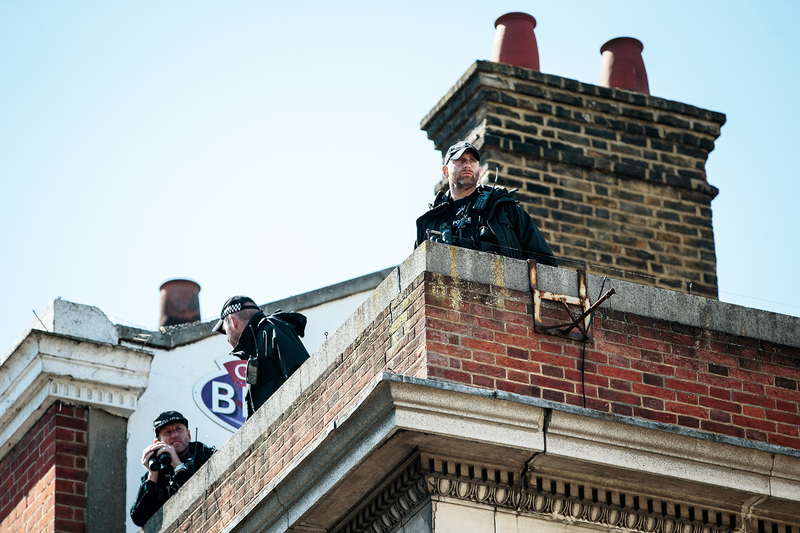 Armed police officers have even been given “shoot-to-kill” orders to ensure the area is safe after European landmarks such as the London Bridge and the Manchester Arena were rocked by a series of terror attacks in the past year. According to CBS News, local police announced a 48-hour no-fly zone around Windsor, and any drones seen flying overhead will be taken down. Officials will also keep a close eye on the many apartments, balconies and rooftops that overlook the procession. Some reports estimate that security for the big day could cost upwards of $35 million, with the entire day reportedly totaling about $46 million. This would be a huge difference from the security cost for Prince William and Duchess Kate’s 2011 wedding, which the Press Association reported was nearly $8.7 million.